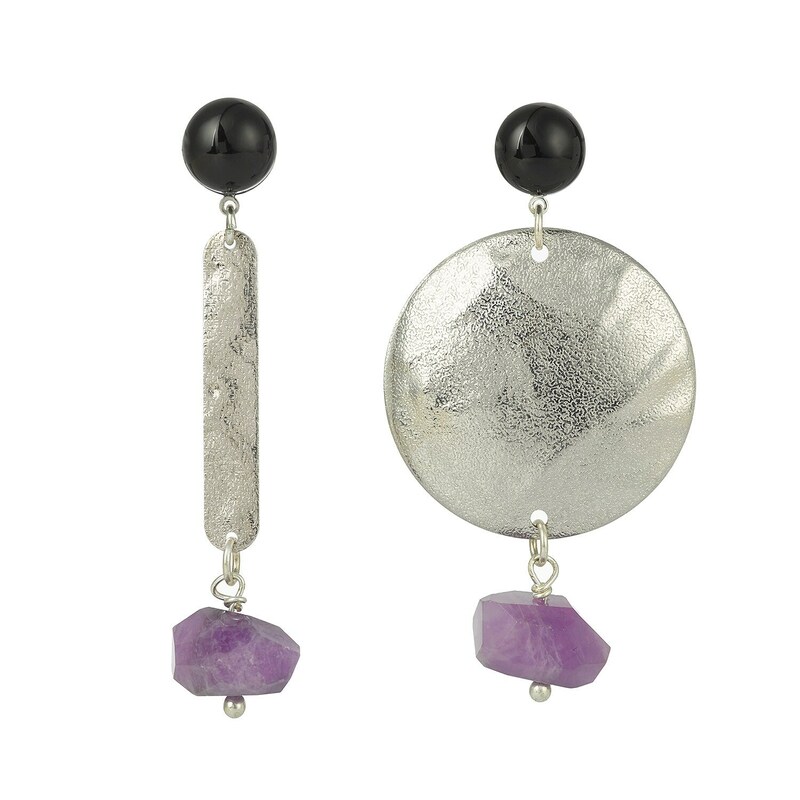 Asymetrical drop earrings made of brass and amethyst and black agate gemstones. 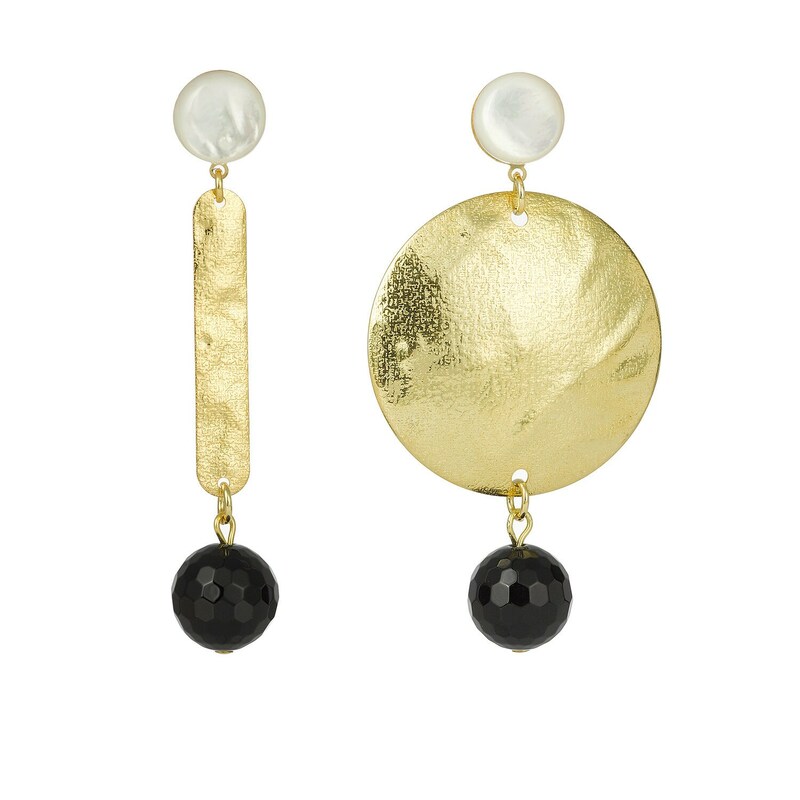 All Youm Paris jewelry are delivered in a white travel pouch. Please let us know if it is for a gift in order to include a bag.